Samsung Galaxy S3 shows up in promo vid? A new biography chronicling life Inside Apple has hinted at a potential power struggle within the company. According to Adam Lashinsky's book, head of iPhone software Steve Forstall has "blatantly accumulated influence" at the company and "wears him ambition in plainer view." Lashinsky questions whether Forstall will be happy to remain a support player to CEO Tim Cook. Is RIM looking to sell to Samsung? Reports on Tuesday suggested that beleaguered RIM is openly looking to court Samsung as a potential suitor. According to BGR, the company wants $12-15bn for the famed BlackBerry brand. 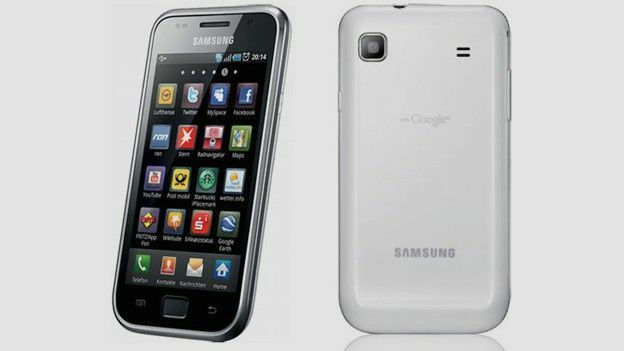 However, Samsung has issued a statement denying it is interested in purchasing the Canadian giant. Facebook is set to expand upon its Open Graph application programme tomorrow at an event in San Francisco. The company is set to release more fully integrated apps along the lines of the Spotify, Hulu and The Guardian apps outed in September. It's thought that the "watch" "listen" "read" verbs could see "cook" and "ran" added into the mix. Jerry Yang, who co-founded Yahoo 17 years ago has quit his position and severed all ties with the company. The 43-year-old has been facing criticism over his multiple roles at the internet giant. It is, however, believed that his decision to leave is his own.